From order books to delivery dockets, receipts and all manner of business forms, duplicate and triplicate books are often overlooked, but essential for your business. Also and maybe more commonly known as NCR (No Carbon Required) books, we can save you £££’s on your NCR Printing. At Kaizen we specialise in printing duplicate and triplicate NCR and can supply the print as pads, books or separate sets for individual use. Lead time can be as little as 48 hours and you can order as small a quantity as two books at any time. Based in Belfast, we serve the entire island of Ireland as well as the rest of the UK with high quality NCR printing. Each book or add can be finished with an array of options. The majority of customers require numbering of each page. Another popular finishing option is perforation on sheets. If you require sheets to removed for office or customer use, then choose this option. 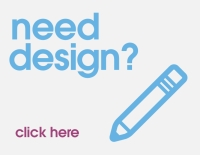 If you require design of your invoice sheet or order form, our design studio are always on hand to create a unique design for your business needs. We have some of Northern Ireland’s top graphic designers in our team and can bring your ideas to life with minimal fuss and maximum results. If you only require a small number of booklets that absolutely no issue at all. Due to our high quality digital printing technology, we can print from as little as two NCR books at a time, keeping your costs down to a minimum. For larger quantities of duplicate and triplicate books, it may be more cost effective to litho print your booklets. We’ll always advise the most cost effective method to ensure you pay the lowest price possible each and every time. To find out how we can help your with your NCR printing, please contact us on 028 9002 2474 or drop us an email. You’re also more than welcome to call into our Belfast office at anytime. We’re open 9-5pm Monday to Friday.